Global Recruitment is Strong and Getting Stronger. …In fact, Antal International recruiting mid to senior executives has never been better! The global industry in general is thriving. Own and build a highly profitable business with a surprisingly low investment. Leverage your background, experience and success with our 25 year track record in over 150 franchised offices across 35 countries. Antal is clearly the world leader in franchising with 50,000 + job placement’s between 45k – 250k euros, $ and £. 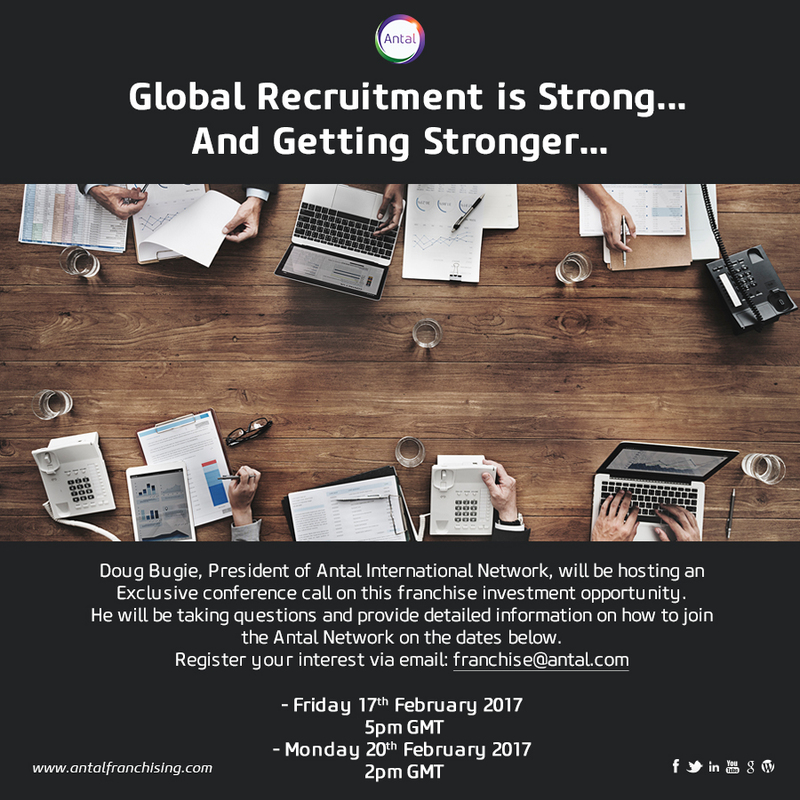 Doug Bugie the President of Antal, who has 32 years of experience in this industry in over 40 counties, will be hosting an exclusive conference call.